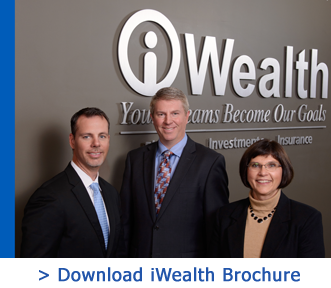 BISMARCK, N.D. – August 15, 2014 – Investment Centers of America, Inc. (ICA) presented Brad Connors, financial advisor at iWealth in Waseca, MN, with the Community Service Award at the company’s regional conference in St. Louis, MO. The Community Service Award is presented to a financial representative who displays support and commitment to his or her local community through a variety of initiatives. “Brad is a true example of a financial advisor who supports his community and really cares about his clients,” said Greg Gunderson, ICA Chief Executive Officer. Connors also participated in “Rep Talks” at the conference where he joined three other financial advisors on stage and shared tips with attendees on how he has garnered success in his practice. He shared the tools he uses with clients to help them set and meet their financial goals, truly showing his passion for the financial services industry. The regional conference, held August 6-9 at the Renaissance St. Louis Grand, provided an opportunity for attendees to share strategies for developing effective solutions to assist clients with their financial goals. 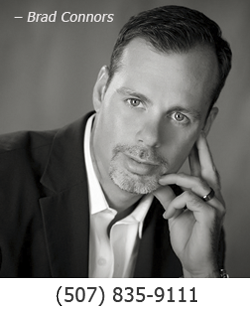 Brad Connors is located at iWealth in Waseca, Minnesota at 213 E 15th Avenue and can be reached at (507) 835-9111 or www.iWealth4me.com.